Another police department — this time in Hope, Indiana — has published photos of a driver overdosing on heroin to social media. The woman in the photo was arrested after police say she overdosed in her car in a store parking lot while her infant son was in the back seat. Officers responded to the Dollar General for a possible overdose. When they arrived on the scene they found Erika Hurt, 25, unresponsive in the driver's seat of her vehicle with her 10-month-old sitting in the back seat. Officers say Hurt was still holding the syringe in her right hand. Police gave two doses of Narcan to Hurt at the scene. They say she regained consciousness after the second dose was administered. Hurt was taken to Columbus Regional Hospital where she was treated and then released into police custody. She is charged with violating her probation, possession of paraphernalia and neglect of a dependent. Child protective services were called to the scene. Police say Hurt's mother was given guardianship of the child. 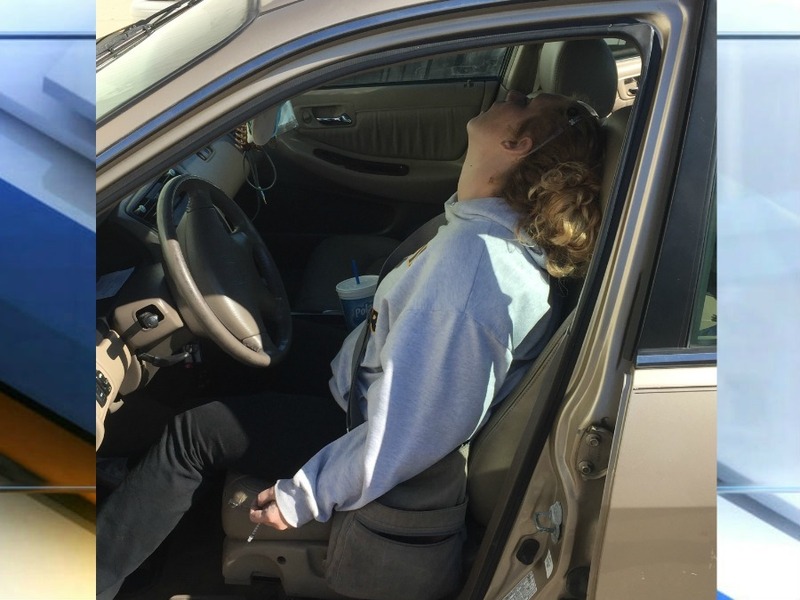 The social media post comes weeks after a police department in East Liverpool, Ohio shared similar photos of two adults who had overdosed and passed out in their vehicle. Inside was a 4-year-old boy.